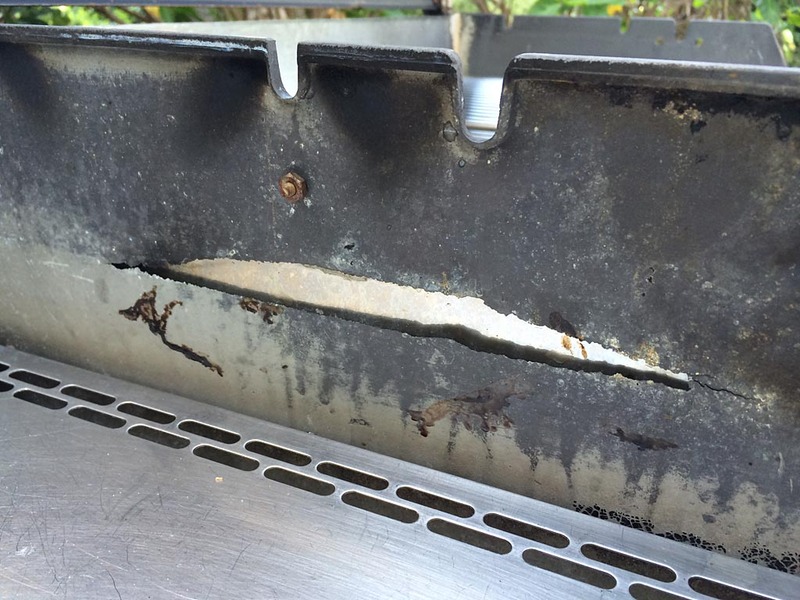 In May, I wrote about an example of fire box burn-through in a Weber Genesis E-310 propane grill. 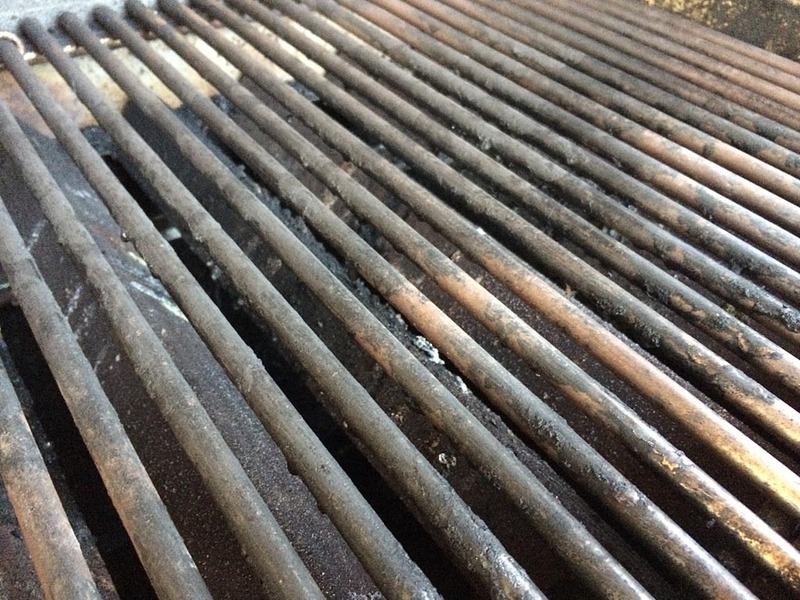 In that post, I noted that the grill was only 7 years old. 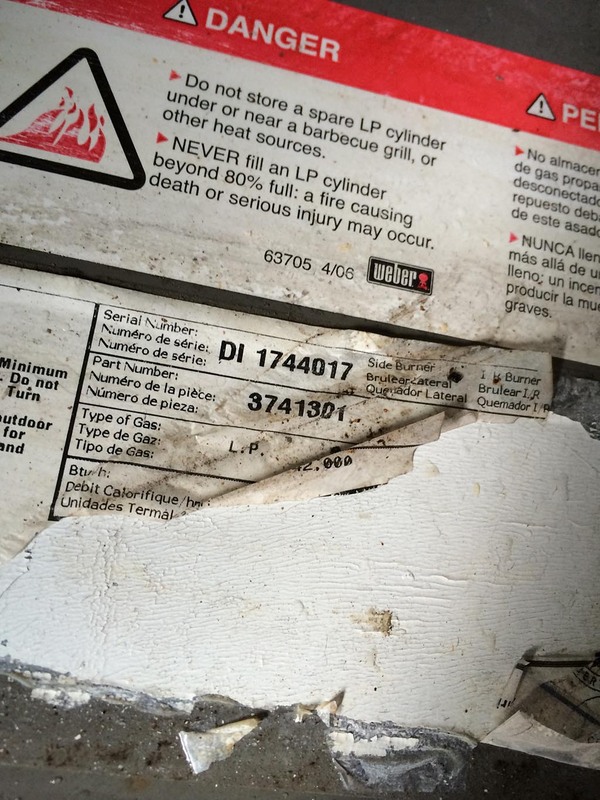 An astute reader reminded me that full-sized Weber gas grills come with a 25-year warranty on the fire box and that a free replacement fire box would be a better solution than the repair shown in my post. Yeah…why didn’t I think of that? 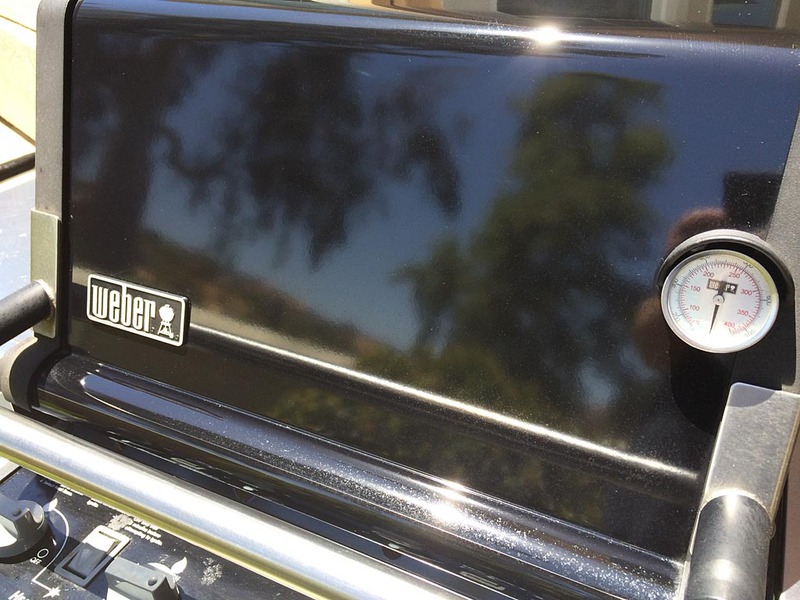 When was the last time you thought about your Weber gas grill warranty? If you’ve been suffering with a problem and haven’t gotten around to fixing it, maybe it’s covered under warranty! 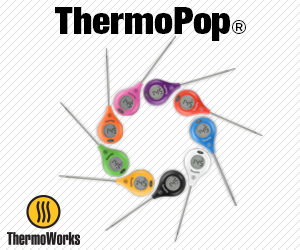 Here’s a list of warranty info I’ve lifted from Weber.com. 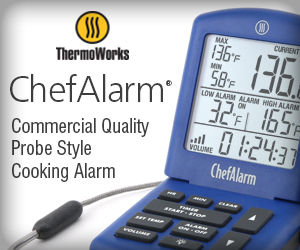 I’m providing it here for informational purposes, make sure to check your owner’s manual for the specifics for your grill or call Weber at 800-446-1071 for more details. I like a clean machine. I get that from my dad. He used to wash the car in the driveway every Saturday morning. He was constantly running the vacuum around the house and going through bottles of Windex, cleaning windows inside and out. Drove my mom nuts. He’s 73 years old now and although he’s slowing down a little, he’s still basically the same way today. So I come by my clean grill obsession honestly. Or perhaps genetically. 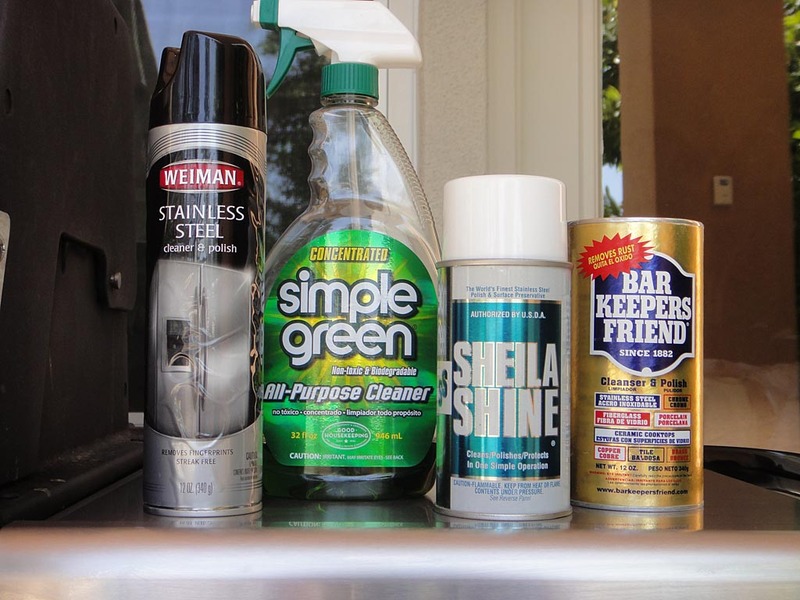 I keep four products on hand for cleaning stainless steel. Simple Green: It does the heavy lifting, cutting through grease and grime. 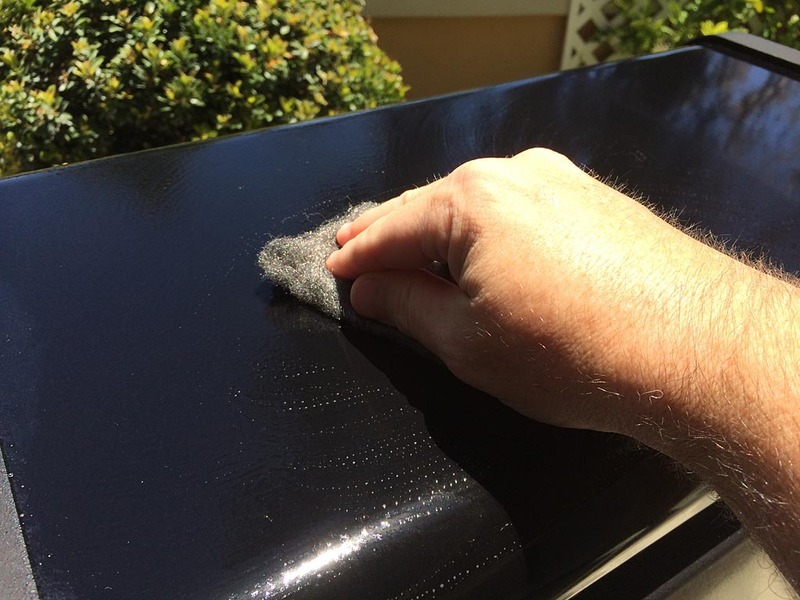 Weiman Stainless Steel Cleaner: It provides the finishing touch, leaving a matte finish. Sheila Shine: A more aggressive version of Weiman, leaving a shiny finish. Bar Keepers Friend: A slightly abrasive/acidic cleaning and polishing powder. If I’m doing a light cleaning, I go straight to Sheila Shine. It cleans and polishes in a single step. 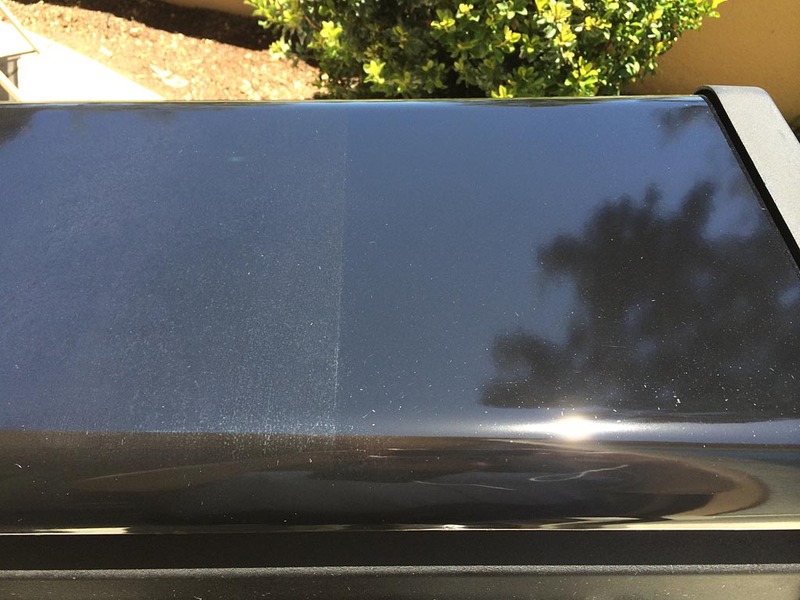 If I’m doing a deep cleaning, like in the photo below with lots of grease and grime, I start with Simple Green. Spray liberally, let soak for a few seconds, and wipe. Repeat once or twice until the surface is clean. Then I use Weiman to get rid of streaks and leave a matte finish. I rarely use Bar Keepers Friend, because of the abrasive and acidic nature of the product. But if you need to remove a stain or rust that the other cleaners can’t handle, BKF is the way to go. Test first in an inconspicuous spot to see how it works. Use a small amount of powder on a wet sponge. Use plenty of water to wet the product. 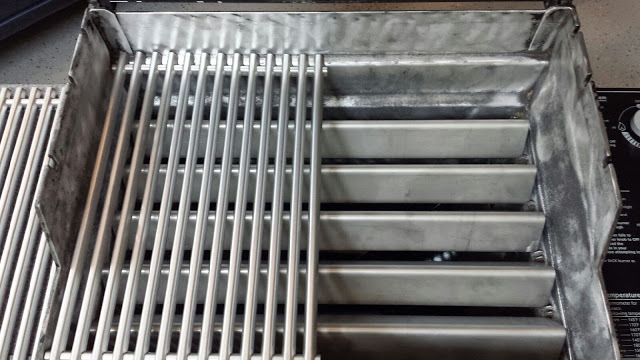 Scrub very gently with the direction of the “grain” in the stainless steel. Rinse thoroughly after use. If you’ve got sensitive skin, wear rubber gloves when working with BKF. By the way, BKF is great at removing those rainbow stains in the bottom of your stainless steel pots and pans! 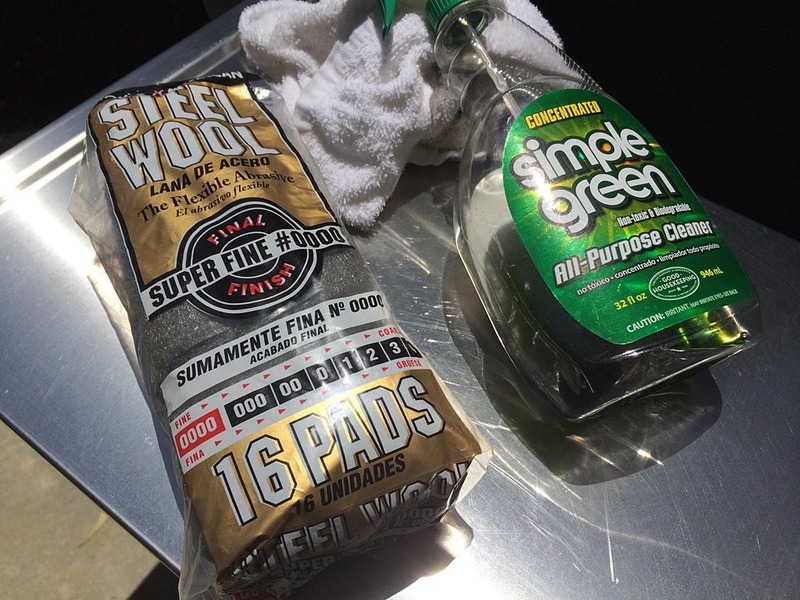 You’ll find Simple Green, Weiman and Bar Keepers Friend at Walmart and Target. You can get Sheila Shine at many Ace Hardware stores or from Amazon.com. Do you have a favorite cleaning product or routine? 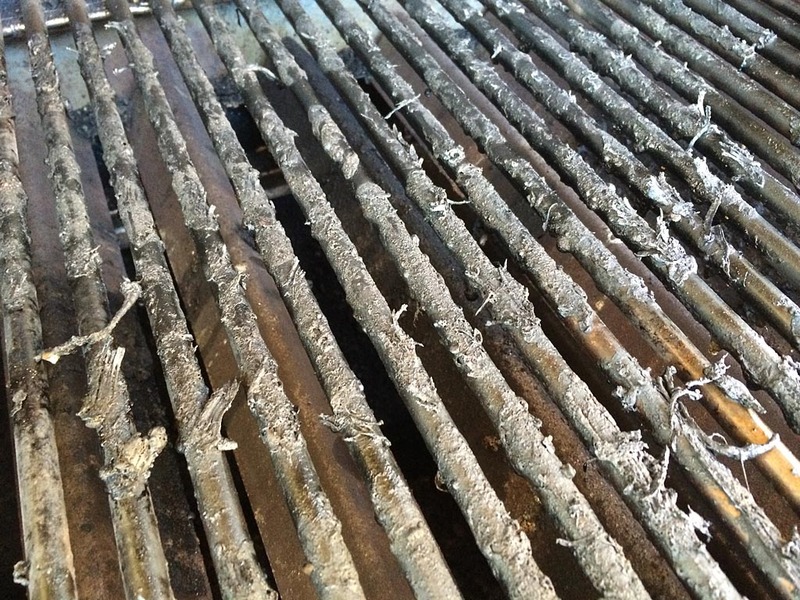 Are you a clean grill neat freak like me? Let us know with a comment! 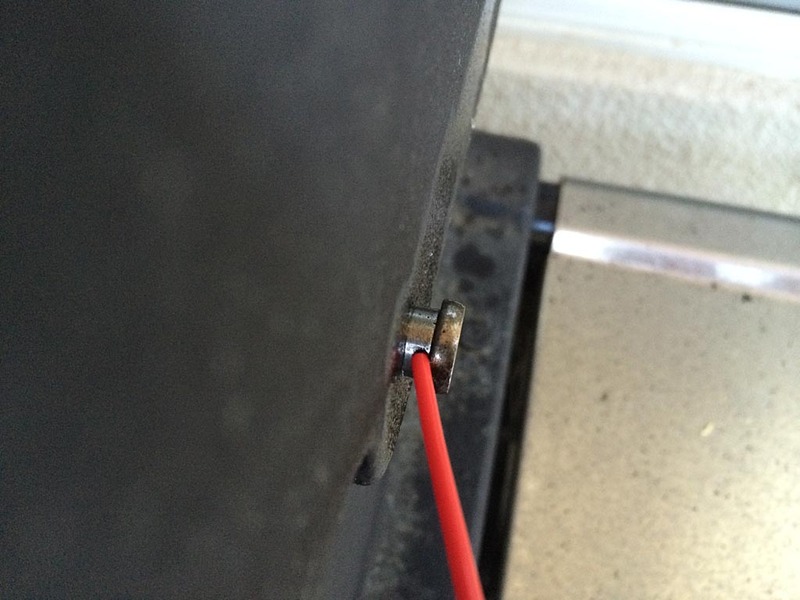 The lid on our Weber Summit 425 makes a squeaking noise when you open and close it. OK, it’s not so much a squeak as it is a loud metallic howling noise. My wife told me the noise bothers her. The neighbors on all sides can hear it. Got to fix it. Turns out the solution is easy. 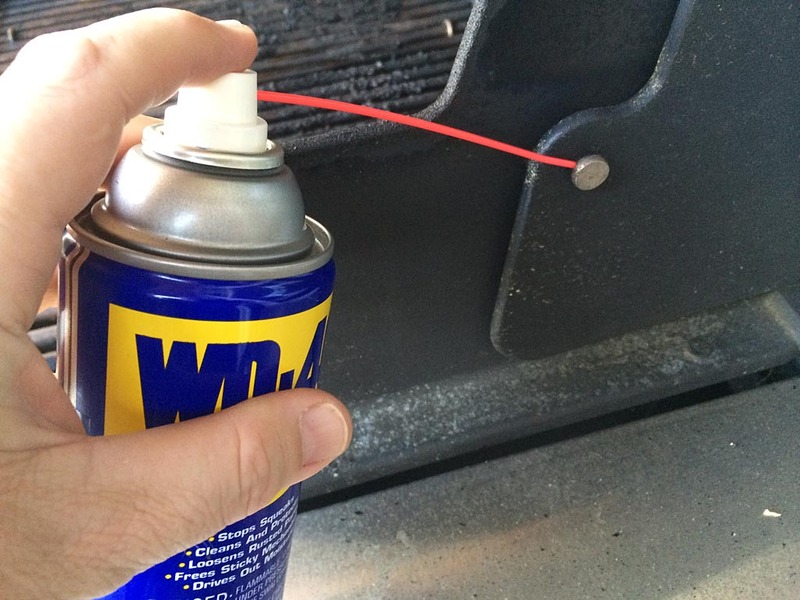 Just apply some of your favorite lubricant onto the hinge pins that attach the lid to the fire box. I used WD-40, but a graphite spray or 3-in-1 Household Oil will work, too. Slide the lid to the side to expose the maximum surface area of the hinge pin and lubricate liberally. Repeat with the other pin. Open and close the lid a few times to spread the lubricant around on the pins. The noise is gone! 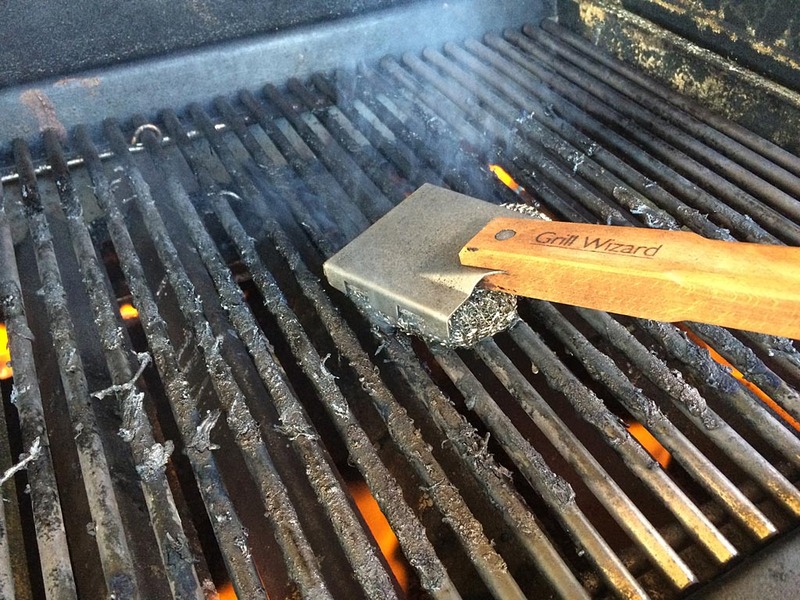 Wipe away any excess drips and you will be grilling in peace and quiet in no time. 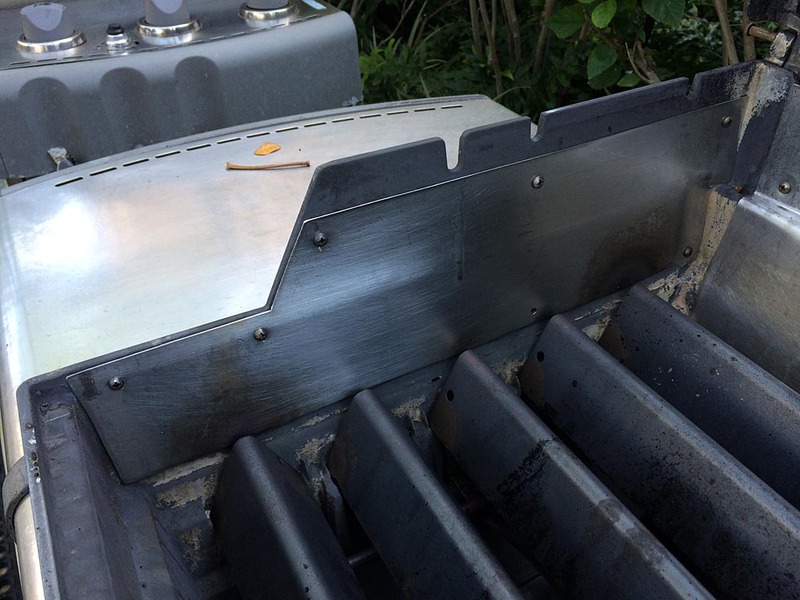 This is a photo of the left end of the fire box of a Weber Genesis E-310 propane grill. The DI portion of the serial number indicates that it’s a 2007 model. I first saw this grill a few years ago while staying in a vacation condo. I’m not sure how or why the burn-through occurred, but upon a subsequent visit, I noticed this repair and thought it was pretty well done. 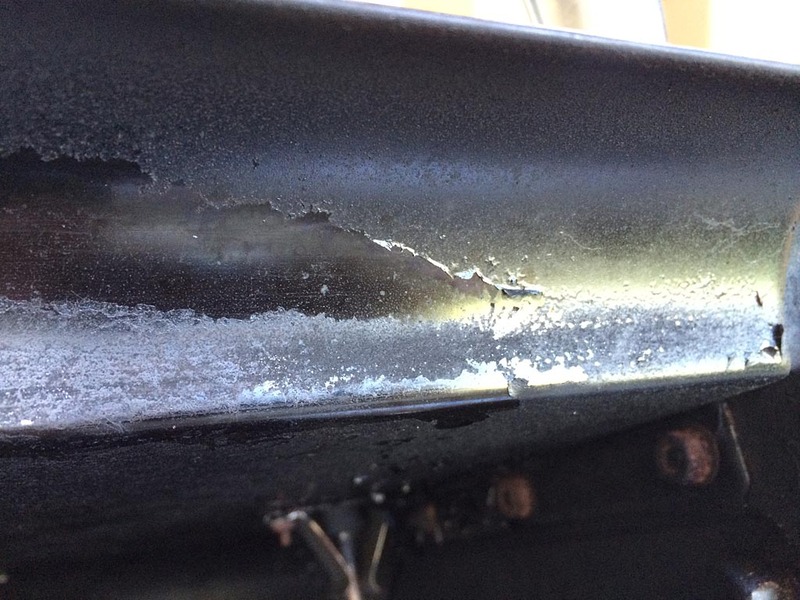 As you can see, they’ve cut a piece of stainless steel sheet metal to fit, drilled some holes, and fastened it to the inside of the fire box with nuts and screws. 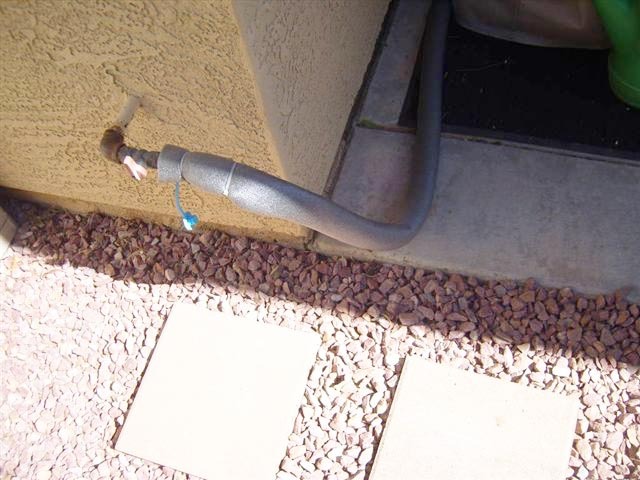 Not as good as a brand-new fire box, but a serviceable solution to an unfortunate problem.